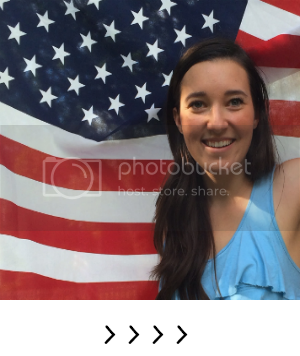 It has been a busy month but I am back now with load of stories to tell/photos to share! So last month I went to Rome + Southern Italy for two weeks as part of Academic Travel at Franklin College and today I want to share with you the first few days of my trip which were largely spent exploring the Campania region of Southern Italy. Andiamo.. Morning: The city of Ercolano (or Herculaneum in English) was buried in 79ad by a wall of lava and mud which engulfed the town following the volcanic eruption of Mt.Vesuvius. Archeologists have been excavating this site for 200+ years and are still in the process of restoring and preserving this ancient city. For a town buried in a mixture of mud and volcanic ash it has done surprisingly well! Somehow original mosaics and columns have survived the last 2,000 years and I loved getting to see them, touch them, and imagine what life must have been like back then. Noon: Italy has two cheese capitols: Parma for Parmesan and Paestum, the birthplace of mozzarella cheese. Because the cheese is so fresh it spoils within days. So the most authentic of authentic mozzarellas can only be found here. 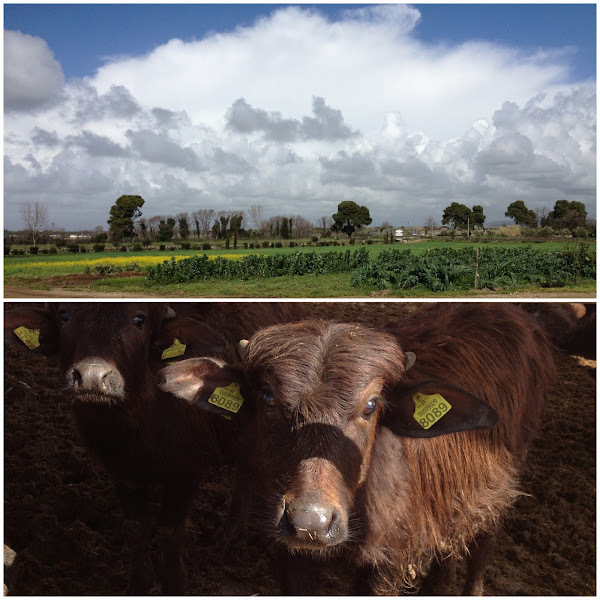 So while in Paestum we stopped at a "yogurteria" or dairy farm and got to observe the production process then take place in a delicious cheese lunch (thanks to them!) on this gorgeous patio in the Italian countryside. Fun fact: authentic mozzarella is made from the milk of water buffalos, not cows, (hence the name, buffalo mozzarella) The water buffalo milk definitely gives it a distinctive taste I have never experienced before, but I loved it! Never in my life have I been so content to eat nothing but five different kinds of fresh cheese for lunch. 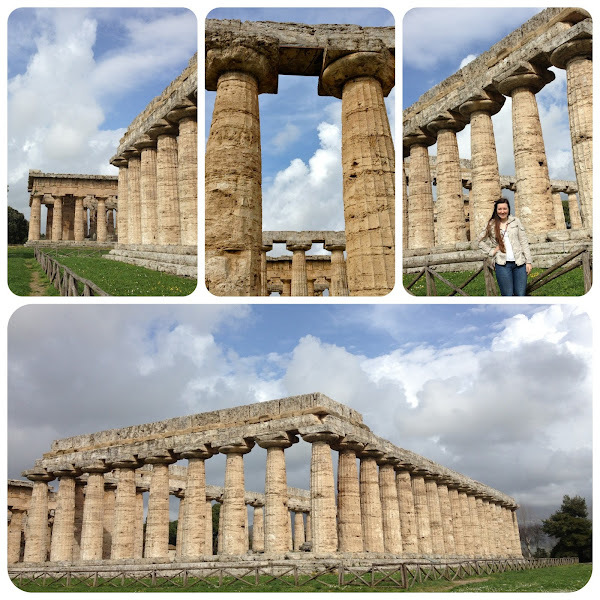 Last stop of the day: the temples of Paestum. I am still astounded that I have never heard of anyone visiting Paestum. a) it has incredible mozzarella b) it has three magnificent original Greco-Roman temples and c) it is less than 100m from the ocean. Despite my confusion over the lack of tourism I was in fact grateful that I didn't have to share my afternoon with thousands of other tourists. It was just me + my group quietly making our way across the field of low stone ruins and wildflowers, absorbing it's ancient history and culture. Another UNESCO (United Nations Educational, Scientific and Cultural Organization) world heritage site; ancient Pompei was also buried in 79AD with the eruption of Mt. Vesuvius. But unlike Ercolano (which was buried in mud) Pompeii was buried in 20+ft of poisonous volcanic ash. How terrifying! Remarkably though, over the last three centuries 50+acres (about 2/3) of the city has been excavated. Today much of the city remains well preserved and countless artifacts ranging from baths to pots to beds etc. can still be seen in their original state becuase the volcanic ash actually blocked out air and moisture, preserving much of Pompeii in mint condition for the last 2,000 years. 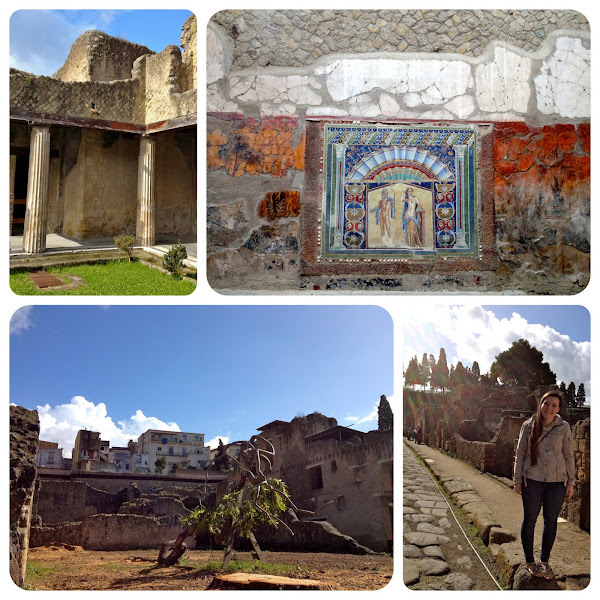 The day we went to Pompei it was cold and super rainy, which was actually a blessing in disguise because what usually is a tourist hotspot, with literally hundreds of tour groups walking through at any given time, was rather empty. I wrote in my journal that night about how peaceful it was to walk through the ancient streets with only the patter of rain against the cobblestone as my companion. I had an amazing time exploring alleyways, climbing ancient structures, hopping from stone to stone. Pompeii's hands on accessibility beats a trip to the museum any day. 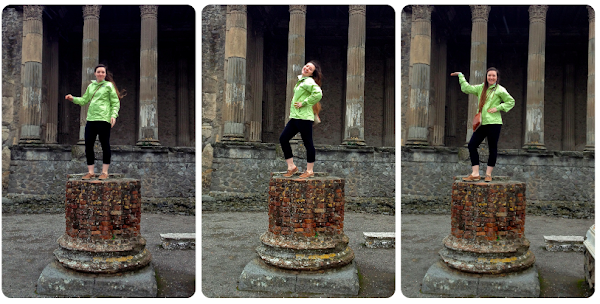 On a less serious note: I even began my "ancient ruins exclusively" modeling career while in Pompeii. The unforgettable view of this stormy costal town. The original plan for day three was to travel down the Amalfi Coast but heavy rains all week eroded much of the costal road and it was too dangerous (land slides) for our bus to make it down the coast. I was super disappointed but our professor made it up to us by taking us to a place she remembered visiting as a young girl, Vietri Sul Mare. This tiny fishing village is located further north on the coast and specializes in handmade ceramics. While exploring all the side streets of the town on a quiet morning I met an adorable old man named Rimando Rimando. In my limited italian we had a great conversation about his work as a ceramics maestro, his family, his business and his art. The tile pictured in the middle right was a scene of Vietri hand painted by him! To be honest, most of the day was marred by a torrential downpour. But one of my favorite things about the village were the ceramic works spread across the city randomly as tributes to their ceramic industry. The multi-colored tiles definitely brightened things up amid the downpour.